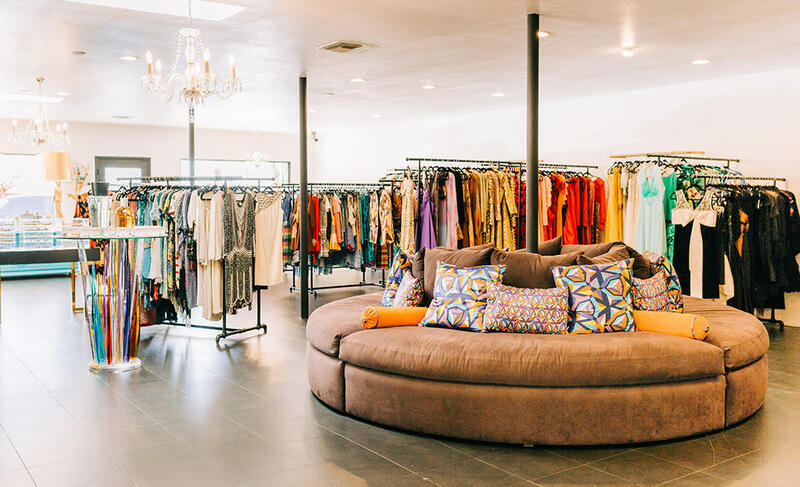 Whether you have an eye for international style, you’re craving the newest trends or you’re in the mood for a new-to-you vintage piece, Scottsdale is always the destination in mind for locals and tourists alike. When it comes to vintage shopping for an extraordinary piece, Fashion by Robert Black has been a staple in Old Town Scottsdale for more than 10 years. “I love history and preservation,” explains Robert Black, who had already made a name in fashion with his eponymous modeling agency but now runs his store fulltime. “I love the research and the stories the pieces tell.” His hope was to bring back the boutique shopping experience – he’s done that, and more. In fact, shopping at Robert Black is more than an experience, it’s a treasure hunt. Black carries well-made custom pieces in addition to eye-catching designers like Chanel. “We believe in high-low,” he says, clarifying that brand names are great, but pieces don’t have to be from a known fashion house to be good. If you’re looking for something special, ask him to take you into the secret room in the back where he keeps his to-die-for pieces. But, brand name or not, if a piece speaks to you, you can’t go wrong. “We believe you should start collecting with your heart, not your mind,” says Black. Also in Old Town, Misty Guerriero, owner of Vintage by Misty, helps women think outside their closets with her gypsy-inspired finds that hold an emphasis on 1970s chic. Her store is packed with flowing gowns, high-end clutches, and even housewares. “We have a little bit of everything, from vintage ALAÏA to Zandra Rhodes,” she says. 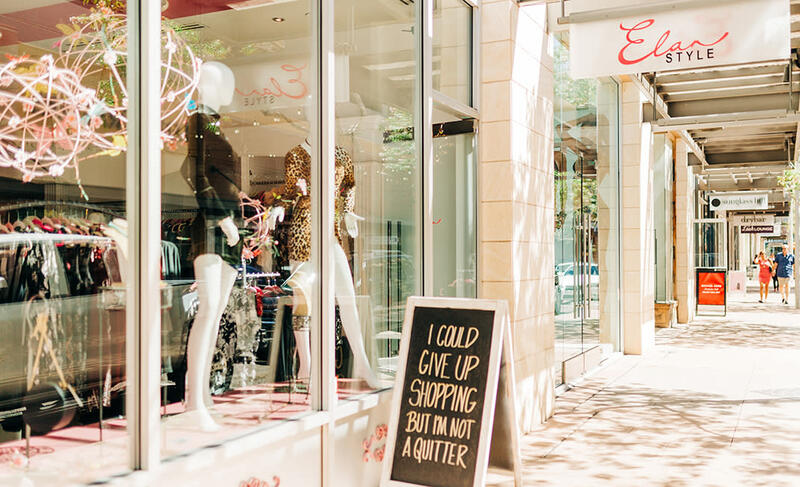 You’ll find an endless supply of independent boutiques with one-of-a-kind pieces scattered around Scottsdale, such as Elan Style at Scottsdale Quarter and Johnny Was, soon to open across the street at Kierland Commons. These powerhouse retail neighbors, located just minutes up the road from Old Town, offer the perfect blend of distinctive shopping, fine dining and sunny, open-air settings. Stephanie Sparer is an Emmy-award winning writer and the author of the book, Maybe I Should Drink More. She tweets and Instagrams with the handle @StefiSpice.